After you have finally calmed down from labor and while you are breastfeeding or bottle-feeding your little one, you may tend to notice some reddish blotches on your baby. You may also notice them sooner or later on their legs or back area while bathing them or changing their diapers. Stork bites are these salmon-colored patches on your baby’s delicate skin. 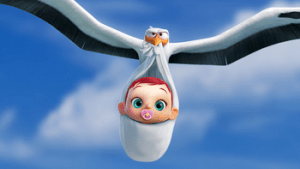 Remember when the elders told you a story about storks bringing new babies to the world? This fable is the inspiration for the term “stork bites”. This post will bring you more details on what stork bites are, what it looks like and how it should disappear. 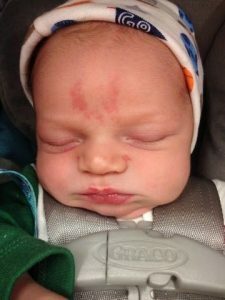 Newborns commonly have stork bites as birthmarks. It usually appears with a color that ranges from light pink to red and form patches with poorly defined borders. Naevus flammeus nuchae or nevus simplex are the medical terms for these birthmarks. Angel kisses, salmon patches, or fire marks are other names for stork bites. 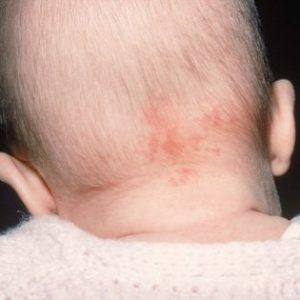 Birthmarks like this often occur in 50 percent of newborn babies and are usually temporary. They commonly last only until 18 months to 2 years of age. 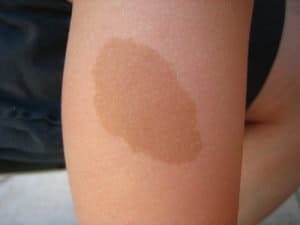 Parents may notice that these birthmarks turn a shade darker or become more prominent during physical exertion when the baby cries, gets upset, screams, or because of temperature change. But there is no need to worry since this occurrence is usually normal. 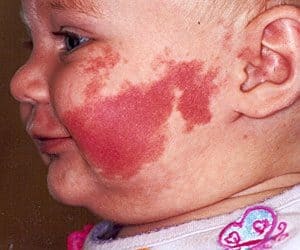 Most new parents will worry upon noticing these red patches since they might think that they are allergic reactions or irritations. Identification of stork bites is very easy. Because these birthmarks have a distinctive color (pink to red) and a flat appearance. Doctors can easily identify stork bites just by looking at them so there will be no need to fuss about skin tests or any laboratory procedures. Stork bites are also known to be genetically passed on and are even used as evidence of paternity in some parts of the world. Most stork bites and angel kisses are associated with Caucasians but it is evident that almost all populations tend to have them to some extent. The baby’s face is the most common site for angel kisses or stork bites. They tend to be more visible on the cheeks, between the eyebrows, forehead, nose, upper lip, and on the neck. These temporary birthmarks can also appear in the lower extremities of your baby’s body. The most common stork bites are found on the neck, this is because of the large capillaries that are present there. The spot on which these stork bites appear will help parents determine how long it will stay visible. Those that are found around the face area are temporary and will last only during the first years, the ones on the neck and eyebrows may take longer to disappear or may have a tendency to become a permanent birthmark. Parents should keep in mind that stork bites or angel kisses should not change your baby’s bodily function. Noticing that any of the patches or blotches on your baby’s skin are giving them discomfort, itchiness, or pain is not normal. If this happens, consult your doctor immediately. Laser removal (the most common treatment procedure) is non-invasive, but due to potential complications and expense, many parents would prefer an all-natural approach rather than taking cosmetic risks that laser removal and other treatment or medical procedures can potentially have. 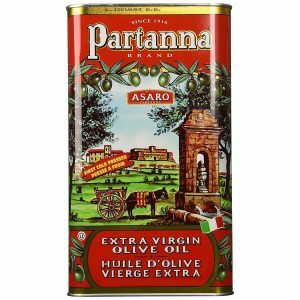 The Partanna extra virgin olive oil is not only good as a home remedy for stork bites but is also best for dressings, finishing dishes, and drizzling. The cold-pressed oil is grown and packaged in Partanna, Sicily. The unfiltered oil comes in a large colorful tin, which also helps keep the olive oil fresher for longer. At first, the unfiltered oil appears cloudy and green, but over time, it will slightly mellow and become clearer. It has very low acidity which is good. Extra virgin olive oils are rich in vitamins, minerals, and antioxidants that’s why it will not only help in the removal of your baby’s birthmark, it will also help in keeping your baby’s skin moisturized and healthy. More on Partanna extra virgin olive oil here. 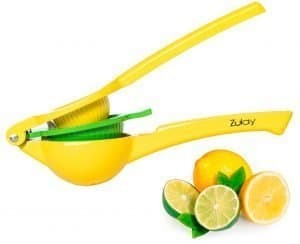 With this lemon juicer, you will get every last drop of juice from your lemon. This squeezer is also very easy to use and will not strain your hands. Storage is also a breeze with this one since it is very compact and will not take a lot of space in your kitchen cabinets. It features two sturdy heavy duty metal bowls that will allow you to squeeze the juice out of large lemons, small ones as well as medium-sized lemons. This will also work with limes and oranges. This juicer is dishwasher safe and very easy to clean. The main ingredient in many prescription anti-aging and acne treatments, Vitamin A stimulates cell division and production of collagen. Apply cream to the birthmark two to three times a day. Also vitamin E creams or oils. With anti-oxidizing properties that can minimize the appearance of damaged skin, Vitamin E can help minimize the appearance of the birthmark and help make it appear lighter. These two brands of lightening creams have been tried and tested to be effective on birthmark removal: Skinception and Meladerm. We suggest that you use creams only on your child of above 10 years of age. Consult your doctor before using any creams on your little ones. 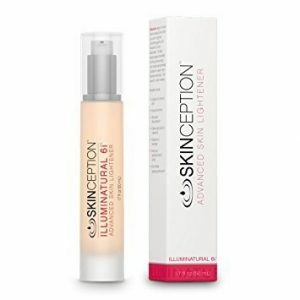 The Illuminatural 6i by Skinception is made with natural ingredients, and Illuminatural 6i is a highly effective and safe treatment for the removal of birthmarks.It is formulated with high-quality natural skin lighteners and plant extracts to care for the skin, this birthmark removal cream gently fades birthmarks to give a more pleasing appearance and is safe to use on the face and body. Illuminatural 6i is also recognized as the best hyperpigmentation treatment. 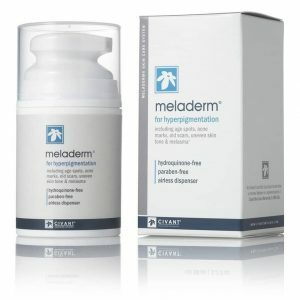 Meladerm has been found out to be an effective birthmark removal cream. it is a skin lightening cream that contains a variety of complex ingredients. The ingredients have been clinically tested and proven to be effective when it comes to removing birthmarks without any side effects. The Meladerm Cream is not only effective for removing birthmarks. It can also remove a variety of other hyper pigmentation-related conditions as well. A cold compress is useful for helping maintain moisture in the skin, and as such, may provide a way of lightening the pigment of a birthmark. This gel cold compress is made from sturdy nylon and vinyl fabric and inserted with gel safe for kids since it is non-toxic. The gel cold compress ice packs are soft and comfortable to use. 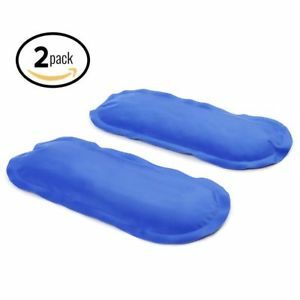 These cold compress ice packs are very sturdy and can be used a dozen of times. So this will be gentle on your baby’s skin. The packs can provide cold therapy that soothes the skin, they also stay pliable even when using it. A good thing about these ice packs is that they do not turn hard thus avoiding unwanted injuries on your babies. This is very versatile and good for use in any part of your or your baby’s body. The appearance of these skin discolorations is not dangerous. They are just birthmarks that appear due to irregular or dilated blood vessels underneath the skin. In certain times of history, these marks were considered as signs of superiority and favorability. In other times, they were considered a curse and a sign of being cursed. These birthmarks were also associated with a baby being blessed and kissed by an angel. They are also considered to be lucky charms in some parts of the world. But in times of skin epidemics, these marks were misinterpreted as signs of specific diseases. Capillary malformations are known to be genetic abnormalities and are often familial. During the fetus growth and development, some fragments which include the capillaries and hemoglobin may stay in the bloodstream. Because of this fragmentation, they tend to remain undeveloped. The immaturity, stretching, and dilation of the capillaries or small blood vessels commonly located just underneath the skin results to pink to red stork bites. If you have a family history of stork bites, it will be more likely passed to the next generations. As mentioned above, genetics also plays a role in the appearance not only of stork bites but also of other birthmarks. Stork bites are also common in light-skinned infants and kids especially Caucasians. Fair-skinned people also have more noticeable stork bites since they lack melanin or pigments to hide the marks. There may be instances when a pregnant woman may need to take medicines. The most common ones used by women during pregnancy are medicines hypertension. These kinds of medicines may be absorbed or taken by the baby inside the mother’s womb. They may contribute to the enlargement of capillaries. Upon childbirth, the formed and enlarged capillaries may still remain dilated that can cause stork bites or angel kiss. The lack of nutritious food intake and proper diet is a probable cause of underdevelopment or abnormalities in the fetus. This will also be a possible reason why babies have immature blood vessels that will result in the appearance of stork bites. Another considerable reason why birthmarks are present is exposure to maternal hormones in the womb during pregnancy. Stork bites tend to get darker and more visible at higher temperatures. Physical exertion, crying, anger, and fussiness will also trigger vasodilation. These happenings together with the hot weather will contribute to blood flow increase area, causing their occurrence and appearance. Stork bites, as mentioned in the earlier part of this post, is congenital and will disappear eventually in the first years. They slowly fade and change color to blend with the skin. Some of the stork bites also disappear with pressure. Constant but gentle application of pressure helps in the fading of stork bites. However, there are rare instances that stork bites stay until adulthood. Most stork bites on the neck extend to adulthood. If you would not want your child to bear these birthmarks as they grow old, there are remedies offered and available. For yours and your child’s safety, remember to get only treatments from licensed professionals. This process takes a week or two to heal. Laser therapy uses light that converts to heat energy that destroys or dissolves abnormal blood vessels, especially those on the neck. Excess hemoglobin in the blood causes the stork bites to appear darker. The use of the laser and colored dye heats up to eliminate excess hemoglobin reducing the pinkish color. The treatment involves the use of carbon dioxide or liquid nitrogen injection that numbs the capillaries to constrict their vasodilation. The capillaries freeze and eventually die. These capillaries then slowly absorbed into the skin allowing for the development of new skin that reduces the appearance of stork bites. Involves the use and intake of steroids which caused the vasoconstriction of capillaries or small blood vessels. This decreases and will eventually eliminate stork bites. Steroids also stimulate the uniform maturity of the capillaries and stop excess growth to prevent sudden vasodilation. This procedure includes the use of atenolol, nadolol, and propranolol. This treatment works by acting as beta blockers which help in the reduction of sudden vasodilation of blood vessels. This treatment may usually take longer and has a couple of side effects. The electrodesiccation procedure is used in extreme cases. The process involves the use of needles that produce electric current. The electric current repairs any abnormality of the small blood vessels including the destruction of extra vessels that may become highly dilated. It also stimulates the growth of the immature capillaries thus preventing sudden vasodilation. Stork bites are generally visible at birth or very soon after, and will usually fade and disappear over time. 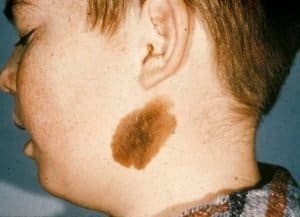 This is in opposition to the other types of birthmarks, which tend to appear later in infancy or childhood and have a greater chance of becoming permanent. A port-wine stain birthmark has a darker red or near to purple appearance. It usually appears at birth. Unlike a stork bite, it does not fade with time and can even darken or gain texture. Although not rare, they appear far less than most other forms of birthmarks. They can occur in any part of the body, but are common around the face, especially near the eyelid area. Port-wine birthmarks near the eye may require medical attention. Strawberry birthmark is the other name for hemangioma. They are red in color and have a bumpy texture similar to that of strawberry. They can appear infants and children. Typically, a strawberry hemangioma will fade by the time a child reaches age 10. Medical procedures or tests may be required to confirm if the marking is a strawberry birthmark that is deep under the skin. Occasionally a strawberry birthmark becomes troublesome if it is on an eyelid or if it starts to bleed and becomes an open sore. If your child has any of these complications, contact your physician right away. Also known as congenital melanocytic nevus, moles are another common marks found on about 1% of infants. These can occur in any area of the body, including the head or face. The shade of the mole generally appears darker in relation to the babies’ skin tone. 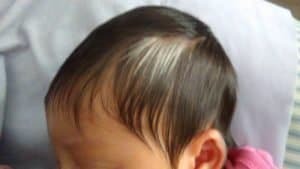 In some instances, the marking may change appearance later in the child’s life during puberty, becoming more prominent, bigger or hairy. 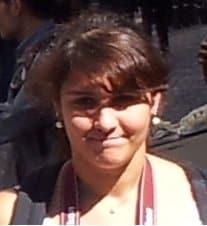 Usually oval in shape, with a light brown or milky coffee color. They are either present at birth or occur soon afterward. As the individual gets older they do not fade. Some people may have one or two, but more is possible. Mongolian spots are blue-gray to blue-green marks. Darker-skinned babies commonly have this mark. The marks may look similar to a bruise and appear on the lower back or buttocks. They don’t stay on your child’s skin forever. By the time the child is about 4 years old, they may have faded away. They are harmless. A silvermark is a hereditary mark which is a silver streak of hair, as the name implies. These silvermarks are commonly found on one side. It is usually found where the forehead and hairline meet. Commonly, other family members also have a silvermark. You do not have to feel judged by the people asking. Instead, feel free and have the courage to enlighten them using every knowledge you’ve acquired from this article. You may start with “stork bites are not contagious” and start telling them everything you know about stork bites. A bit of history and storytelling might do the trick too. You can tell them that having a stork bite and angel kisses are blessings. Many believe that a child with an angel kiss has been marked and kissed by angels for protection. Nevertheless, we all know every one of us, especially the children are truly blessed. 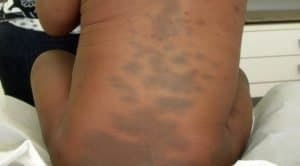 Birthmarks are unique and can be interesting to look at. 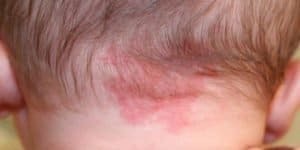 However, you should always consult with your child’s physician to ensure that the birthmark is identified properly as a stork bite, and if so, you will be able to relax and be worry-free knowing that there is nothing to worry about.